The Oklahoma City Thunder Bus came to visit our school today, and every student in our class was able to select a new book they can keep and take home. 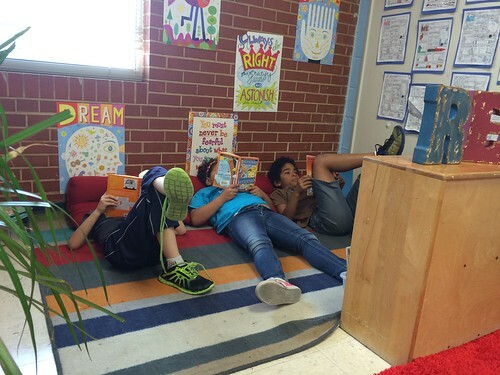 In this episode of our classroom radio show, students talk about new books they are reading. This is the fifteenth episode of our classroom podcast, created using the free Opinion app on my iPhone. I teach third and fourth grade students at Positive Tomorrows in Oklahoma City. Previous PostRoom108 Podcast 13: Lego Literature ChallengeNext PostRoom108 Podcast 16: How did you show honesty or integrity today?